Professor Peter Lee has had an academic career spanning close to 30 years, with leadership roles at the University of South Australia, where he was the Deputy Vice-Chancellor and Vice-President (Academic), The University of Queensland, Murdoch University and Curtin University of Technology. Prof Lee took up his appointment as Vice Chancellor to Southern Cross University in September 2009. He holds a Bachelor of Engineering from the Royal Melbourne Institute of Technology and a PhD from Monash University. 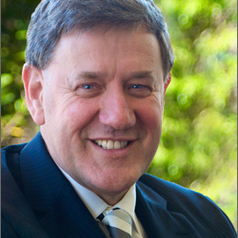 Every year since 2004 he has been named in the 100 most influential engineers by Engineers Australia and was the recipient of the Australian Government Centenary Medal in 2003, the Institution of Engineers Australia, WA Engineering Excellence Award in 1998 and the Shedden Pacific Prize and Medal for Excellence in Chemical Engineering in 1993. He is the author of four books and 270 journal papers and has won in excess of $4.7 million in competitive research grants for universities. Professor Lee has managed his own consulting company, providing services to government and non-government agencies, including the United Nations Development Organisation. He is a Fellow of the Australian Academy of Technological Sciences and Engineering; Fellow of the Institution of Chemical Engineers (UK); a Fellow of the Institution of Engineers Australia; a Graduate Member, Australian Institute of Company Directors; and Chartered Professional Engineer.